Katrina waif on a bayou bank in 2006 on the Mississippi/Louisiana border off old Highway 90. It is the ten year "anniversary", and, so many memories, so many years later. I spent hours out on the Bayous photographing the devastation to the fishing industry. 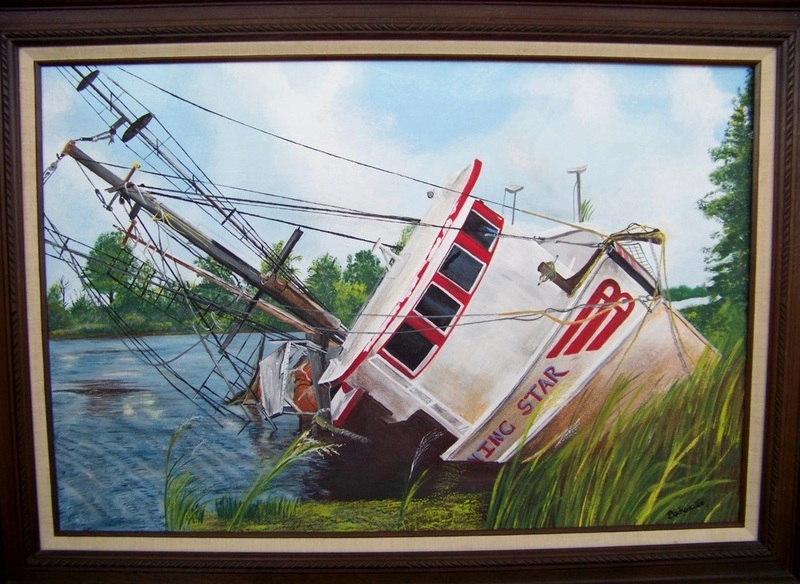 For some reason, this boat, the "Morning Star", has always stuck in my mind. It was a picture perfect day, the wind was brisk across the Bayou and the weeds were in wheels, it seemed, that day, trying to roll the Morning Star back to her former glory. This boat was laying in a Bayou on the Louisiana/Mississippi line off of old Highway 90 the other side of Perlington, Ms.